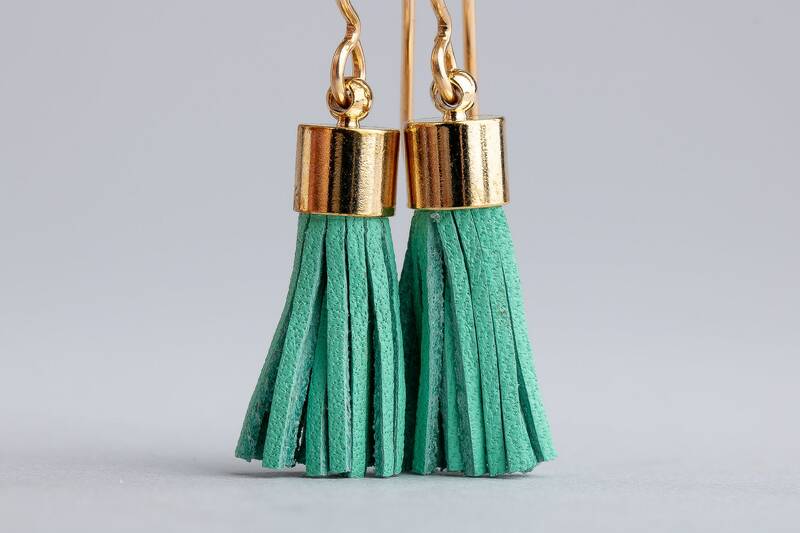 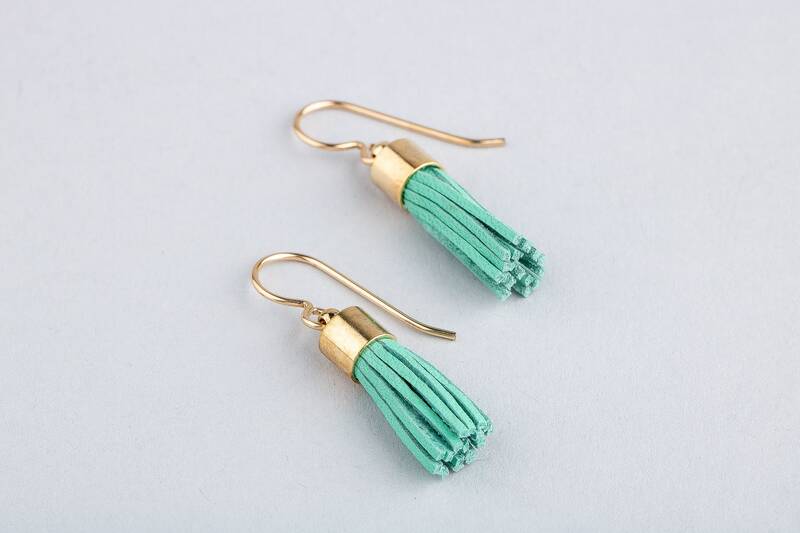 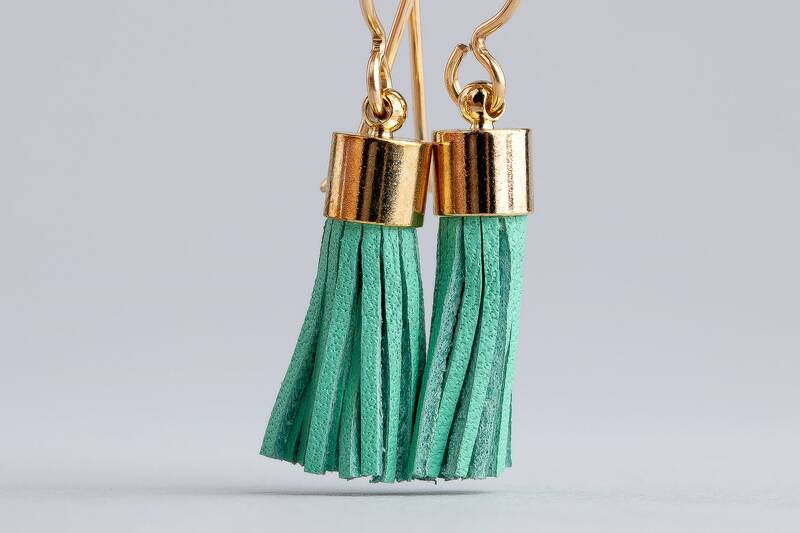 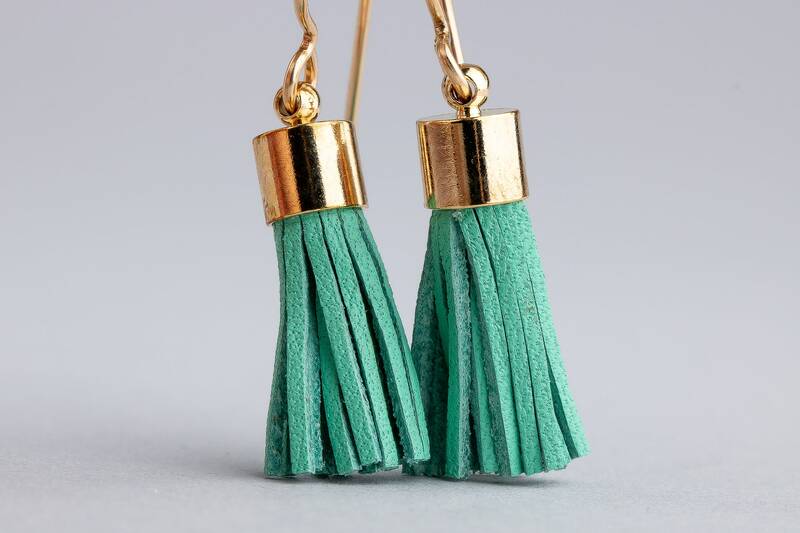 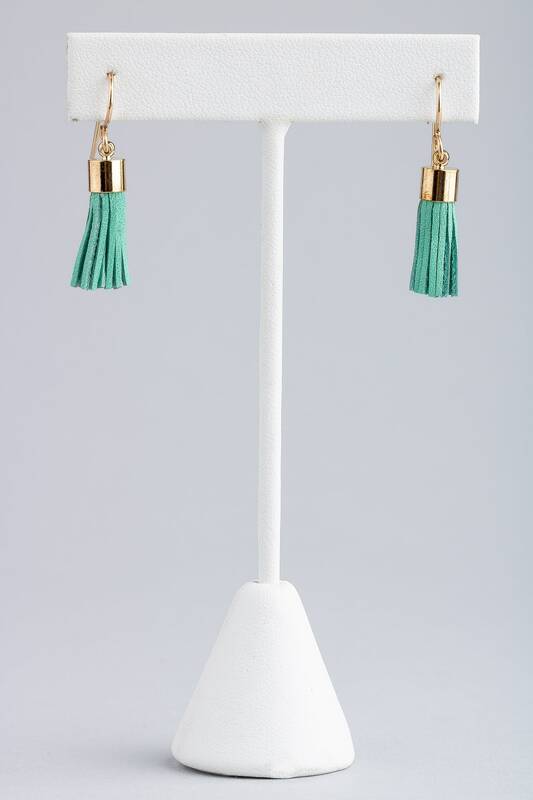 These adorable aqua blue and gold tassel earrings are made from 14K Gold Fill, Gold Plated Brass, and synthetic leather. 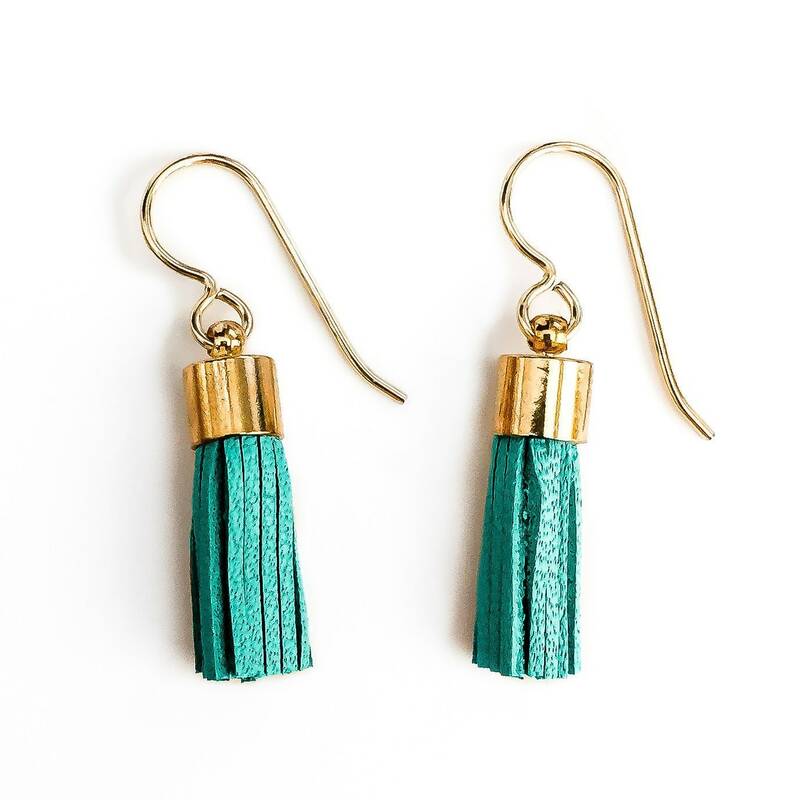 These lightweight earrings are gorgeous and catch the light beautifully with their frilly movement. 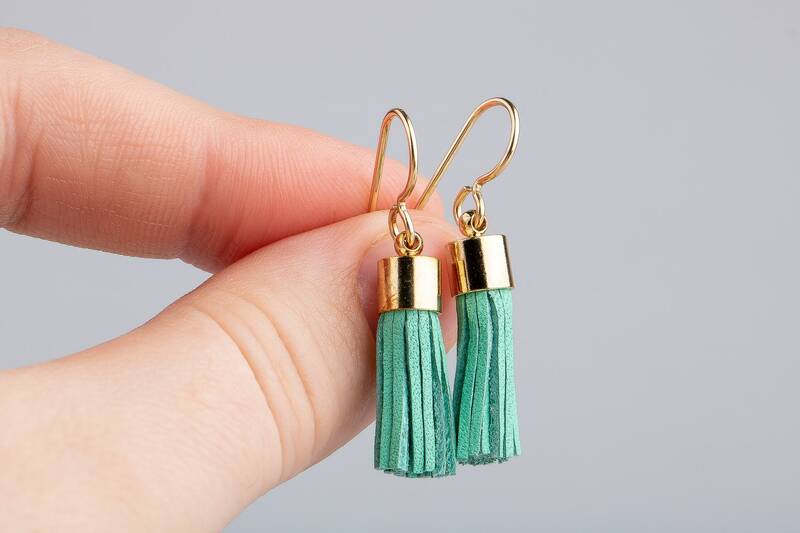 So simple and sweet, and perfect for a modern boho look! 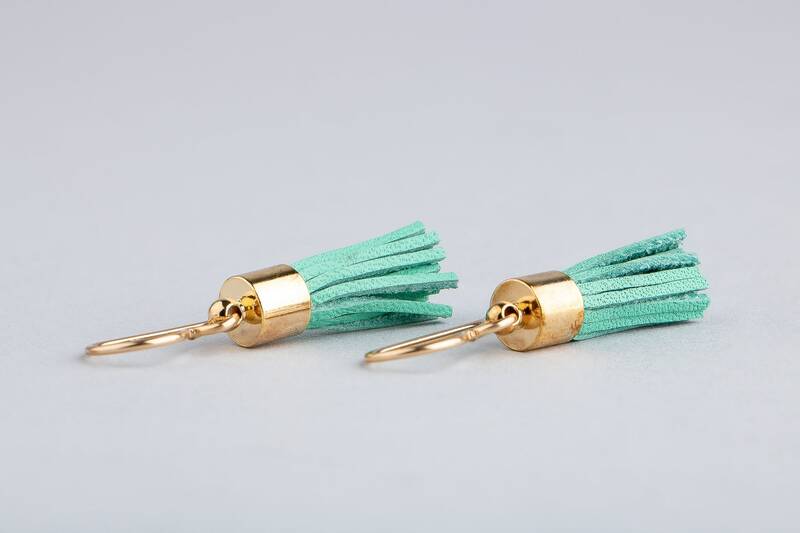 The earwires are made from 14K Gold Fill, and are perfect for sensitive ears. 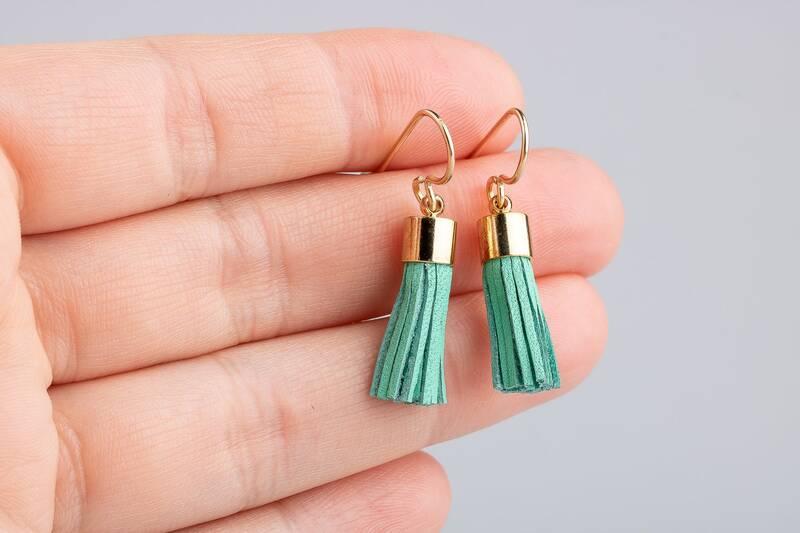 The cap is made from Gold Plated Brass.